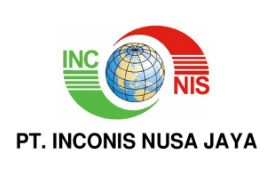 INCONIS NUSA JAYA is one of the leading Oil and Gas Services Company in Indonesia, we provide Manpower supply services, Consultant & Supervision, Specialist, Assesment & Training Development, Well Test & Automation services in a safe, reliable and economic manner to all customers. We support the oil & gas industry with sophisticated integrity services and products to ascertain that our customer’s projects and facilities maintain full operating capacity throughout their entire lifespan. Geologist will act as Client’s offshore representative, demonstrate visible leadership in HSSE and provide geological support to ensure successful delivery of the well objectives and data acquisition plan. Work will involve onsite operational support during drilling, with some pre-drill technical package review and preparation. The position requires effective communication with WellSite Leaders and other onsite rig personnel (Mudlogging, LWD, Wireline logging and Coring service providers), as well as close interaction with subsurface asset team Ops Geologist. Attend Pre-Spud meetings and review subsurface technical package (Geological Operations Plan) and drilling program. Collect and review required well site reference data, subsurface technical package, correlation / offset logs, maps, prognosis, and become familiar with any operational problems experienced in offset wells. Attend rig calls, teleconf meeting with town as needed. Log correlation/Interpretation; - Formation and fluid marker picks; - Revise marker and target projections; - Casing point and TD determination; - Advise town personnel on changes needed in well plan; - Log Quality Control; - Depth control and tie in on sidetracks, conventional wells. Witnessing mudlogging sensor calibrations, as needed. Present geological/subsurface info at pre-phase meeting, etc. Maintain Geology and Engineering Files and Expedite Final logs and Data. Hold a valid BOSIET/T-BOSIET certificates. Extensive experience in working in the complex well (subsurface, data acquisition, logistic). Please note this application closes 1 week from the date of advertisement . We regret that only shortlisted candidates will be notified. Thanks for reading PT Inconis Nusa Jaya Jobs: Wellsite Geologist. Please share...!